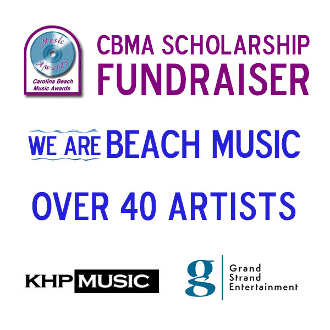 Over 40 of your favorite Beach Music Artists have come together in this collaboration produced by Grand Strand Entertainment and Distributed by KHP Music. Proceeds from the sale of this CD and Sponsorships will go to the CBMA Scholarship Fund. A lot of work has been put in to this project and we hope you enjoy it. The Music Video will debut at the 2017 Carolina Beach Music Awards held in North Myrtle Beach this November. If you would like to help support the CBMA Scholarships, please purchase the CD here or let us know how to contact you by using the contact form on this website.